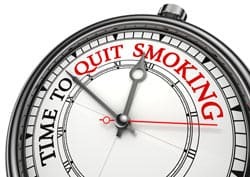 Of course the problem is most people who have quit smoking by just sheer will power are smoking again within a few months or at most within one year. Quitting can be difficult for most smokers but a hypnotist can help make the path to quitting easier. But there’s just so many half-truths and downright lies around the topic of hypnosis that its a wonder anybody would ever quit using it. But it has been used for over 40-years to help smokers stop and considering it’s the most effective way of quitting today I’m going to dispel the most common myths in this article. This stems from watching too many stage hypnotists and Hollywood movies. Stage hypnotists are entertainers and what you see has absolutely nothing to do with therapeutic hypnosis. And at the risk of getting hate mail, the subjects the stage hypnotist like best are attention seekers anyway. In a therapeutic hypnosis quit smoking session a hypnotist can suggest anything you like you want to happen, but that also means you won’t do anything you don’t want to do if you don’t want it to happen or are not ready to receive the suggestion. If a suggestion is made that is unacceptable to you, that suggestion is merely rejected. You will not allow yourself to run around and make chicken noises or do embarrassing things – unless of course that is what you normally do – do you? I thought not. No. In fact the hypnotherapist will be most disappointed if you fall asleep, as your sub-conscious mind will not be as open to the suggestions as when you’re awake. People in hypnosis are completely conscious of what’s going on and what’s being said at all times, but they’ll appear to be very relaxed with their eyes closed. Hypnosis is more like being absorbed in a book or a favorite TV program and not being aware of somebody asking you something or calling your name. As far as I know there have been no recorded instances in the world of somebody entering a hospital emergency room in a comatose state caused by a hypnosis session. As you’re never actually asleep during hypnosis, you can just open your eyes and end your hypnosis to quit smoking session whenever you want to. Meditation is also a self-induced light hypnotic state. Yes, I’ve seen the Manchurian Candidate as well – but hypnosis is nothing like that movie. 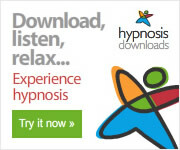 Your hypnotist is simply your guide, helping you to reach a state of deep relaxation. Once you reach a deep enough state of relaxation, your hypnotherapist will then make the suggestions in order to help you achieve the goals you want to reach. Again, if anything is suggested to you that goes against you belief system you will reject it. This is an interesting one because to a certain extent this one has an element of truth. If you can daydream or get absorbed in an activity to the extent that you shut out the “outside” world then you’ve already been in hypnosis – you just didn’t realize it. However, if you decide you can’t be hypnotized or don’t want to be for any weird reason then you can’t be hypnotized. Therapeutic hypnosis depends on the subject to be open and willing to be hypnotized for the session to work. Okay, now let me ask you – got sucked into any of these debates with know-it-all friends or family? If so – now at least you know the truth.